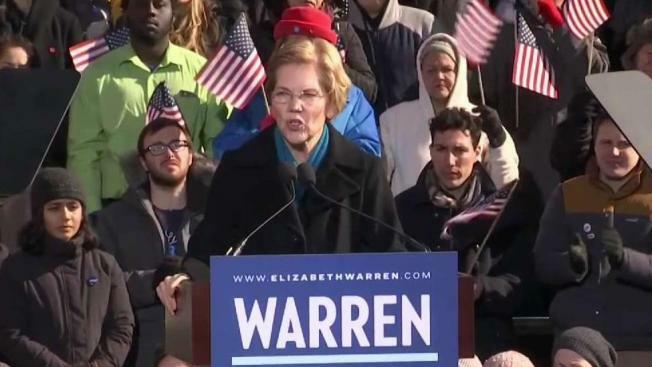 Democratic Sen. Elizabeth Warren made her bid for the presidency official on Saturday in the working-class city of Lawrence, Massachusetts, grounding her 2020 campaign in a populist call to fight economic inequality and build "an America that works for everyone." Warren delivered a sharp call for change at her presidential kickoff, decrying a "middle-class squeeze" that has left Americans crunched with "too little accountability for the rich, too little opportunity for everyone else." One thing missing from Senator Warren’s speech was any mention of the ongoing controvery surrounding her claims of Native American heritage, an issue that re-emerged this past week. Asked to explain the tweet's reference to "the campaign TRAIL,'' the White House didn't respond. Warren went straight from her kickoff to New Hampshire, home to the nation's first primary, where her campaign projected that 350 people turned out for an event in the city of Dover. She attended a town hall meeting with potential voters, giving a more informal version of her Lawrence speech and taking questions from those in the crowd. Warren plans to spend Sunday in Iowa, where the leadoff caucuses will be the first test of candidates' viability. 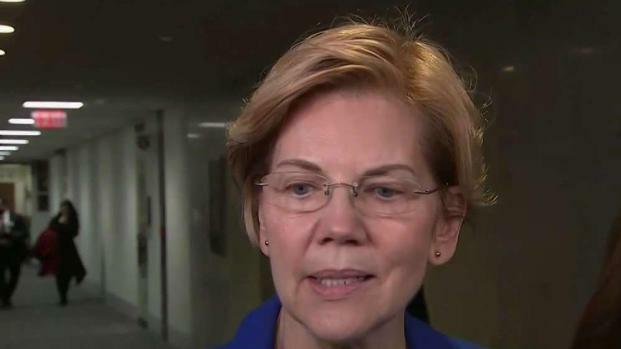 "Elizabeth Warren has already been exposed as a fraud by the Native Americans she impersonated and disrespected to advance her professional career, and the people of Massachusetts she deceived to get elected," Campaign Manager Brad Parscale said in a statement. "The American people will reject her dishonest campaign and socialist ideas like the Green New Deal, that will raise taxes, kill jobs and crush America's middle-class. Only under President Trump's leadership will America continue to grow safer, secure and more prosperous." Associated Press writers Meg Kinnard and Jonathan Lemire contributed to this report.